Inspired by the contemporary look of abstract art, the Gray Abstract Rug with Red Stripes will modernize any decor. 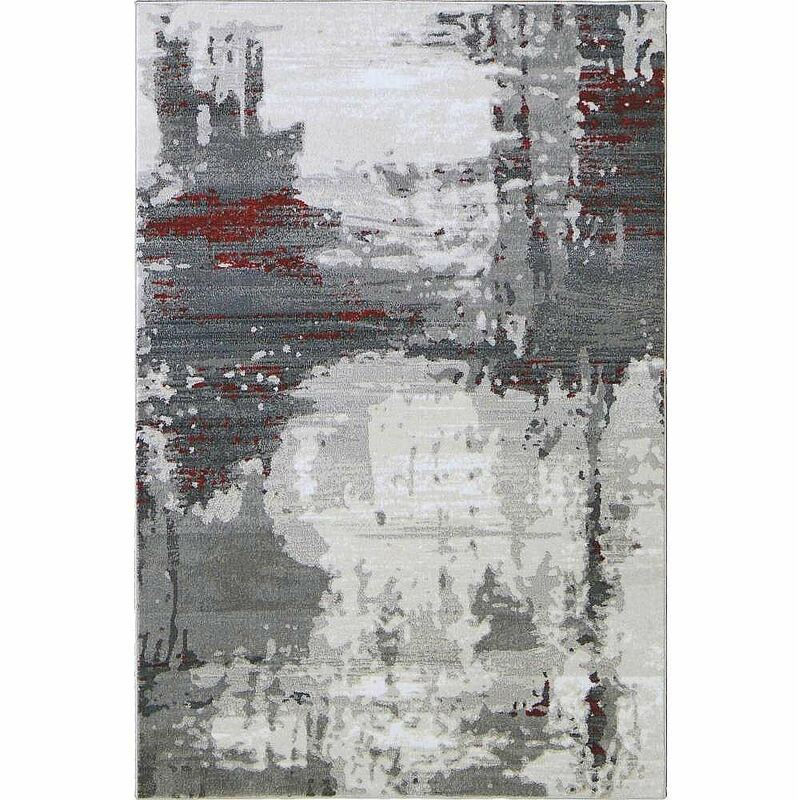 Bring simple luxuries into your home with this beautifully designed, contemporary style Gray Abstract Rug with Red Stripes. Versatile, eclectic, and stylish, this abstract rug is sure to soften stronger lines and pull any room together. The artistic inspiration of the Brushstrokes pattern finally brings you a true piece of art for your floor. Stripes of striated color meld across this rug like brushstrokes. White, black and red tones underlie a subtle yet intricate abstract pattern in four shades of gray on the Gray Abstract Rug with Red Stripes. If you’re looking for a way of incorporating art into a space, piece of art for your floor, then abstract art rugs patterns might be best for you. Our Abstract Gray Rug with Red Stripes has a great ability to set a mood by giving your room a fresh and artistic perspective. For that reason, the rug is a perfect backdrop for contemplative spaces like bedrooms and sitting rooms. Although it does look great in modern settings, it can light up the most traditional of interiors as well.